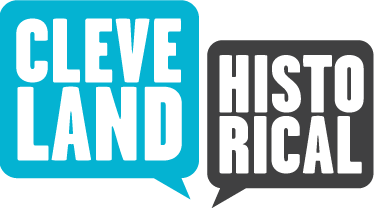 The oldest homes in Shaker Heights were not built by Oris and Mantis Van Sweringen. They were built instead by migrants and immigrants who came to Warrensville Township in the first half of the nineteenth century to farm. They arrived in large numbers decades before the Van Sweringen brothers created Shaker Heights out of a part of Warrensville Township in the early twentieth century. Many of the immigrants who came to Warrensville Township in the first half of the nineteenth century were from the Isle of Man, an island located in the Irish Sea between the British Isles and Ireland. They were known as Manx. 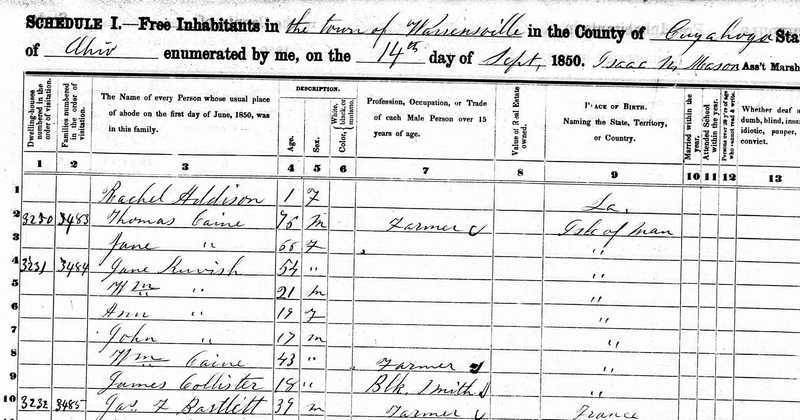 In the 1850 U.S. census, 179 residents of Warrensville township identified themselves as immigrants from the Isle of Man, thus accounting for more than 12 percent of the township population in that year. 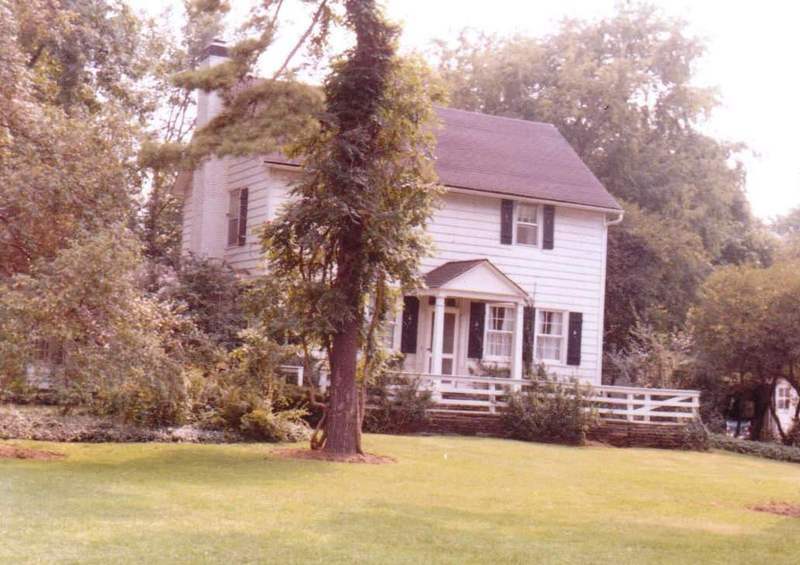 William and Jane Kewish, who built the Kewish home located at 19620 Chagrin Boulevard just west of Warrensville Center Road, were two of the hundreds of Manx immigrants who settled in Warrensville Township in the first half of the nineteenth century. They immigrated to America in 1834 and by the time of the 1840 U.S. census they were residing in Warrensville Township. In 1844, William, who had indicated in the 1840 census that he was employed in "navigation of the ocean" rather than agriculture, purchased 67 acres of farm land along what is now Chagrin Boulevard. By 1847, he had built the house at 19620 Chagrin Boulevard. Unfortunately, just two years later, in 1849, William died and the responsibility for farming the land he had purchased fell upon his widow Jane and the couple's sons, William and John. Jane and her sons received help from William Caine, a brother or other close relative of Jane Kewish, and also himself a Manx immigrant. With the help they received from their Caine relatives, Jane Kewish and her sons managed to successfully farm the land and the land remained in the Kewish family for almost an additional four decades before it was finally sold in 1887. John Kehres purchased the Kewish home in 1887 and it remained in his family for several decades. During this time, the Kewish home was reputed to have served as the toll station for the Kinsman toll road. Kinsman Road was in the nineteenth century a major market road which ran all the way from Cleveland to the Pennsylvania border at Kinsman, Ohio. (That portion of the road passing through what eventually became Shaker Heights was renamed Chagrin Boulevard in the twentieth century.) In 1874, Warrensville's farmers formed a company for the purpose of constructing a plank road on the portion of Kinsman Road which extended from the Cleveland city limits to one mile past the Warrensville Town center, and to charge users of the road a toll in order to recover their building and maintenance expenses. This plank toll road remained in operation until about 1899. During these years, the Kehres family became very influential in the affairs of Warrensville Township and later in East View, a small village carved out of township territory in 1905. Several members of the Kehres family became local government officials, and one member, W. F. Kehres, served as both Warrensville Township postmaster and as the first mayor of East View. The William Kewish Home was designated a Shaker Heights landmark in 1976. 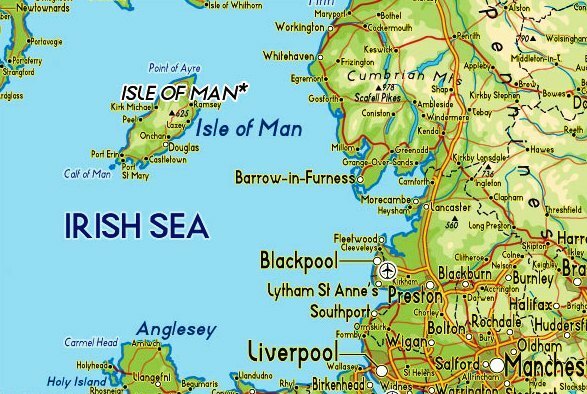 The Isle of Man. : Many of the early settlers of Warrensville Township were immigrants from the Isle of Man, an island located in the Irish Sea just west of England. Among these immigrants were William and Jane Kewish, and their three children William, Ann and John. William Kewish built the house at 19620 Chagrin Boulevard. 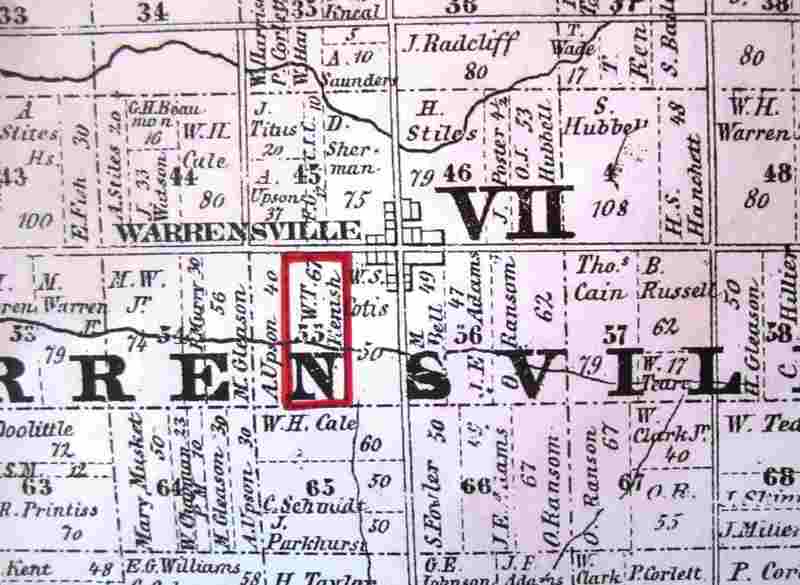 Warrensville Township - 1852: This map of Warrensville Township is part of the 1852 Blackmore Cuyahoga County Map. The original 67-acre farm purchased by William Kewish in 1844 is outlined in red. In 1857, several years after this map was published, William's widow Jane and William Cain, either a brother or other close relation to Jane, expanded the size of the farm by purchasing 50 acres of land owned by William C. Otis immediately to the east (to the viewer's right on the map) of the original farm. Image courtesy of Western Reserve Historical Society. Plank Road Craze. : As early as 1845, Cleveland newspapers began to promote plank roads. In that year, Charles Whittelsey, a geologist and founding member of the Western Reserve Historical Society, traveled to Canada to examine its plank roads and reported his findings in the Cleveland Herald. Soon the plank road "craze" began. If your town or village didn't have a plank road, you were behind the times. 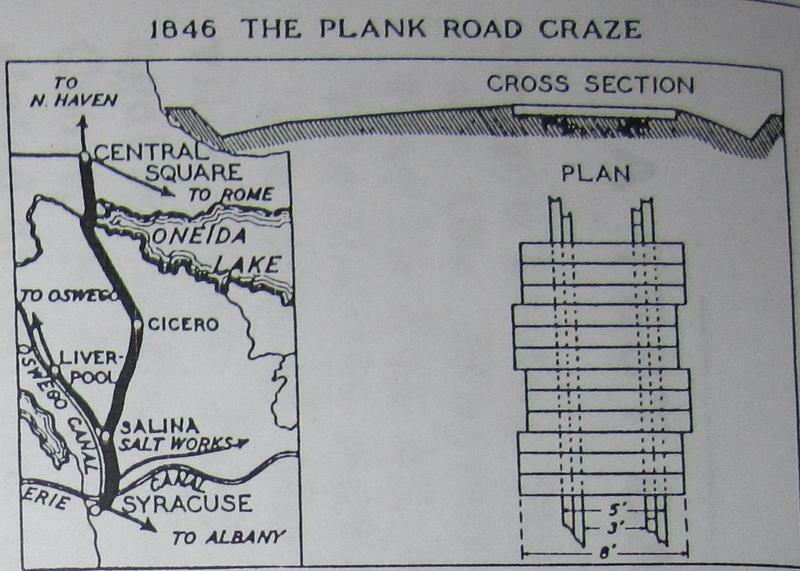 The above diagram depicts a plank road in New York State. Image courtesy of the Euclid Historical Society. 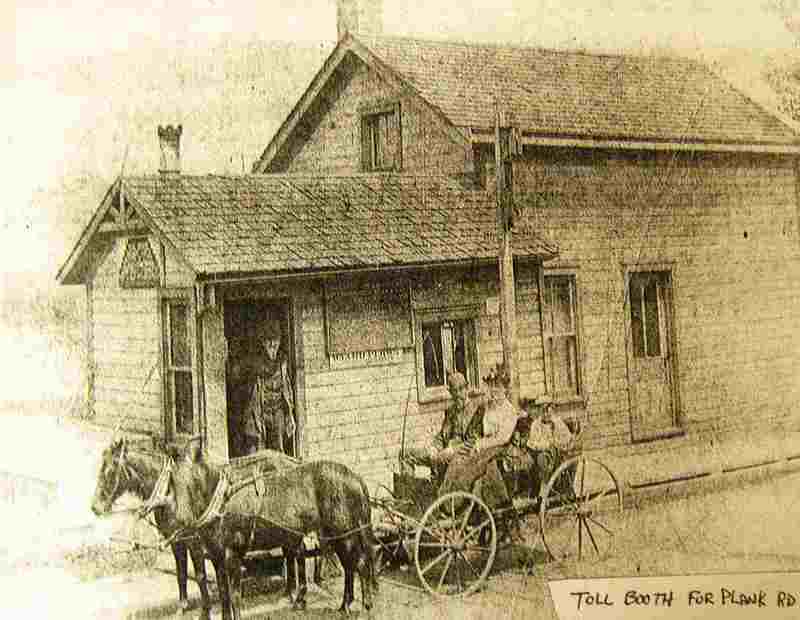 Toll Station on a Plank Road. : This undated nineteenth century photograph shows a couple in a buggy pulling up to the toll station on the Euclid Plank Road. The man standing in the doorway would have collected the toll from the couple. This photograph is representative of nineteenth century toll stations and plank roads in Oho. Image courtesy of the Euclid Historical Society. Farmers and the Plank Road. 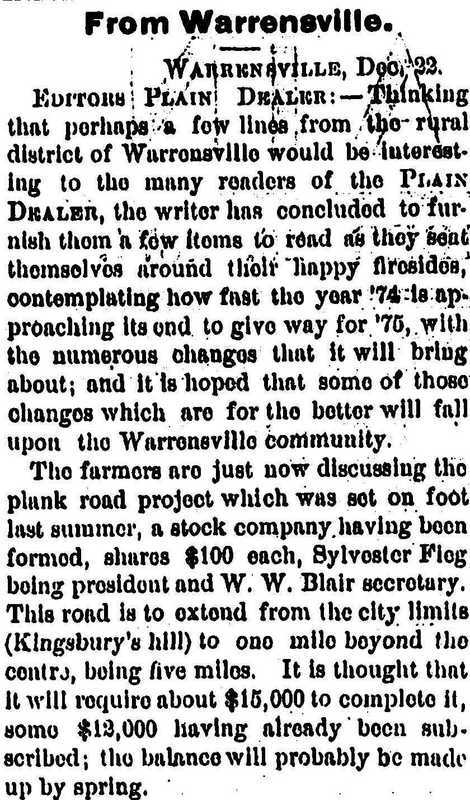 : This December 23, 1874 Cleveland Plain Dealer article reveals that it was in the summer of 1874 that Warrensville farmers banded together to form a plank road company for the purpose of building and maintaining a plank road extending from the City of Cleveland city limits to one mile past the Warrensville Town center. A toll was charged for use of the road--$.08 per horse and $.16 for a team of horses. The toll would have been collected at the house, known as a toll station, located near the toll gate. Image courtesy of Cleveland State University Library, Special Collections. End of the Plank Road Era. : The era of plank roads in Ohio came to a close toward the end of the nineteenth century. They were often replaced by macadamized roads, an early precursor to asphalt roads. By 1899, the plank road between Cleveland and Warrensville had so deteriorated and was in such dangerous condition that it generated both angry letters to newspapers and lawsuits. 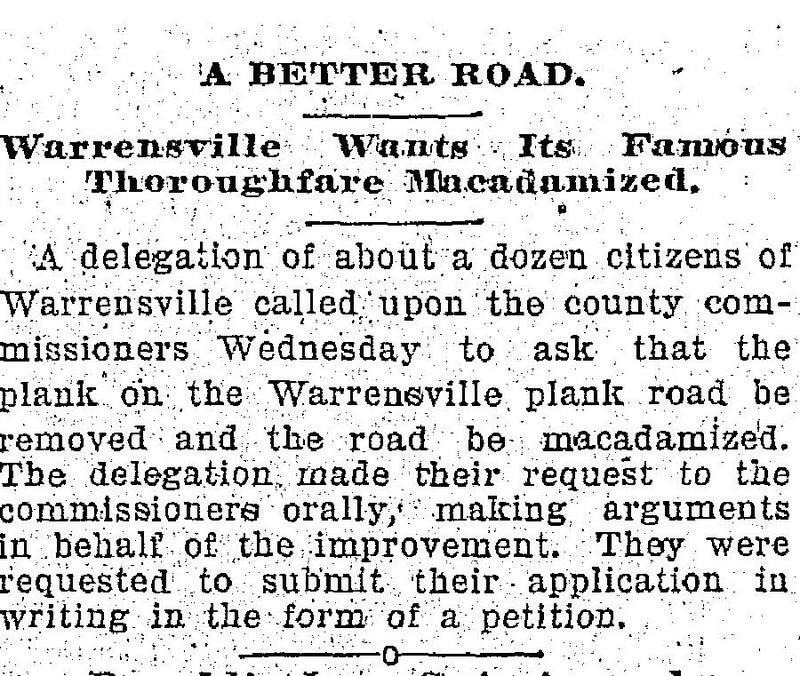 On January 19, 1899, residents of Warrensville petitioned Cuyahoga County to macadamize their "famed thoroughfare." Image courtesy of Cleveland State University Library, Special Collections. Jim Dubelko, “William Kewish Home,” Cleveland Historical, accessed April 23, 2019, https://clevelandhistorical.org/items/show/345. Published on Nov 6, 2011. Last updated on Apr 18, 2017.